For today’s Tuesday Tip we’d like to share a product that can put a personal touch on almost anything you want to sew: printable fabric sheets! Printable Fabric Sheets- What are they? You can pick up printable fabric sheets at your local fabric or craft store. They are easy to use, fit directly into your printer and they are washable! That’s right, you can put these babies through the machine and they don’t shrink, so you don’t have to worry that they’ll be ruined as soon as the project gets used. Print a photo of someone and include it as part of a block in a quilt – maybe it’s a memory quilt and you want a photo of the person honored in the quilt, or just a picture of your family or your children to include in a quilt that will be a gift. Print a photo and turn it into the center of a handmade patchwork pillow. This is a great idea for the holidays – put all your kids in Santa hats, snap their photo and turn it into a quilted pillow that will be the perfect gift for Grandma. Print smaller (wallet-sized) photos onto this type of fabric and use the photos to label items your child owns – suitcase, soccer bag, winter coats and hats, even! Print your name or business logo onto these sheets and use them to make sew-in labels for your handmade creations. Scan your child’s artwork or have her draw directly into a computer program, then print the masterpiece on printable fabric sheets and turn that into your next sewing or quilting project. Make sure you have plenty of ink in your printer before you begin! You don’t want to waste one of these sheets printing out a large photo, only to run out of ink halfway through it. Follow the directions on the package to make sure you get the best printing quality out of your project. Make sure you buy the printable fabric sheets that are washable, otherwise you will never be able to wash your finished project! Be sure to follow the manufacture’s instructions for “setting” the ink. Some require rinsing under water and pressing to heat set. What do you think about printable fabric sheets? Have you used them in your projects before? Do you have any other ideas for incorporating this unique product into your sewing projects? Share in the comments below! 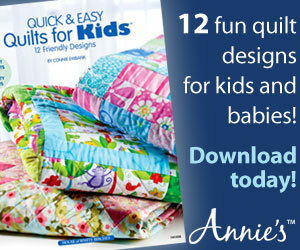 Hi Heather, Love the printable sheets, they are great for a quilt. But I will say that a Photo Printer works better than your standard printer for paper. Just something I found out when these first came out…. Good to know Lori. I have only used the fabric sheets with my standard printer. I’m sure the photo printer would only enhance the crisp look of a photo. Do you have problems with them being stiff? I had some that were so stiff they were permanently creased after washing and I had to remove them from the quilt… And yes, I removed the paper backing. Thanks…. Overall I think the handfeel is slightly stiffer than regular fabric but I’ve never had an issue with it. After a few swirls in the laundry machine they soften up even more! Morning, where can I buy these printable fabric sheets please, I’m thinking photo cushion of my two granddaughters for there mam and dad for Xmas. I have used printer sheets to make a quilt label w/photo and info for my quilts. They are great for when the quilt is a gift, or for a wedding quilt. I have used them a few times and they are always stiff. Any suggestions? Do you wash them Peggy? I have found that this helps. Yes, I have washed them. Both before and after sewing them on. I loved the way they looked but couldn’t get them to soften up so removed them. Very interesting Peggy. My labels have never been stiff. What type of printable fabric where you using? Hi there, has anyone else had an issue with using fabric softener on this fabric? Is this a no no? I applied some once to a doll dress I made and it changed the colors. Also, I’ve used June Taylor colorfast sheets and they too are stiff. Would love to find some that aren’t stiff. Interesting Lynda. I do not use a specific fabric softener with my families laundry so I have not tried. But I will ask around and see if any friends use it. If so, I’ll toss a few samples in and report back.